Twitter users argued over pineapple pizza after Iceland's President said he wished he could ban it. Pineapple on pizza enthusiasts and those who hate the idea of fruit on pizza have finally found common ground. When a man named Sam Panopoulos invented the pineapple pizza and the world was divided into two camps - those who liked pineapples on their pizza and those who didn't. For some, a pizza is not complete until chunks of pineapple rest on every slice – while for others, fruit on pizza renders it inedible. While it looked like there was no way a bond could be forged between the two sides until an even greater enemy reared its strawberry-covered head. 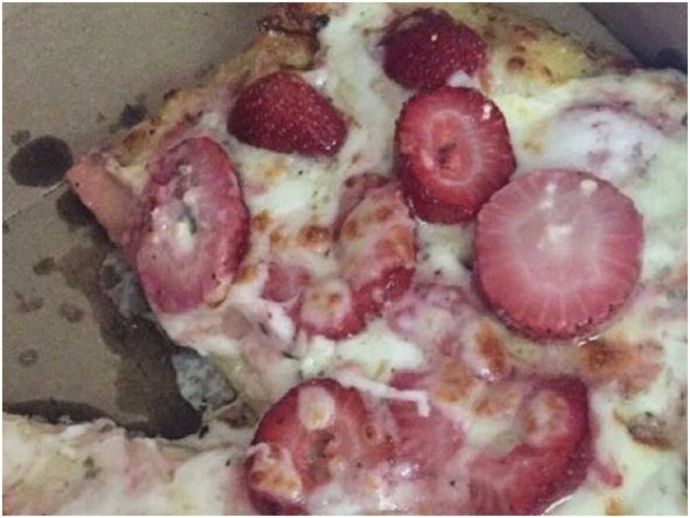 It is still an intense, ongoing debate, but now, a Twitter user has given the world something even worse to outrage over: Strawberry pizza. Yes, A STRAWBERRY PIZZA! Or sacrilege, as Joey would call it. A Twitter user who goes by the name 'Moon Emoji' tweeted a picture of a pizza, topped only with strawberry slices, and the Internet collectively took up arms against him. This new inter sensation has garnered almost 2,000 replies and has been retweeted over 2,000 times.